Squarespace is one of the most commonly used website builders today. Many businesses and individuals looking to build a sleek-looking professional site have used the Squarespace templates. The elegant design of Squarespace pages is one of this platform’s key selling points but many website owners will be interested to know how well they do in terms of visibility. How easily can a Squarespace website be found on search engines like Google and Bing? There has been a lot of raving about the wonders Squarespace; even the least tech savvy of us can design a professional-looking website. Owners of small online businesses and bloggers, however, worry that the SEO aspect has been overlooked by Squarespace. The scarcity of hard information about the search engine optimization capabilities of Squarespace. Many in various forums claim that switching to Squarespace has affected their SEO ranking or that it inhibits them from manipulating various SEO-related parameters on the website. Headings- Content with clearly formatted headings and subheadings will be easier for search engines to crawl through. It will be easier for search engines to detect your sites main themes if it is thus structured. Links- Infuse as many inbound links to your pages as you can without compromising the quality of your content. They don’t require much effort to create and are an organic way of increasing traffic. SEO titles- Page titles, post titles and site titles infused with keywords will rank better in search engine results. Instead of going with default titles, customize the titles to include keywords so that they are prioritized by the search algorithm. Additionally, use them in the ‘alt’ tags of your images. The length of your articles and posts also matters; the longer the better. You also need to post fresh content regularly; that is why sites with blogs where new posts are uploaded frequently rank well. When ranking websites on the results page, the Google algorithm takes all these factors into account. Many times these are overlooked in favor of the latest SEO plug-ins or ‘cheat codes’. But any experienced developer or webmaster will tell you they are more important in determining how high up a website will appear in the SERPs. Any honest web professional will admit that most of the sales and queries on a site come from Google. The SEO tools provided by Squarespace should be enough to boost your rankings significantly. As we have seen in the first point, Squarespace has a number of features geared towards boosting a site’s visibility. Although Squarespace is not open source, features like XML sitemaps that automatically update themselves, automatic tagging and URL cleaning can greatly impact a site’s SEO. On top of this, you can roll up your sleeves and tweak the HTML code or scripts in Squarespace’s developer mode to further increase the visibility of your site. Squarespace has taken a reputational beating in regards to its SEO capabilities. 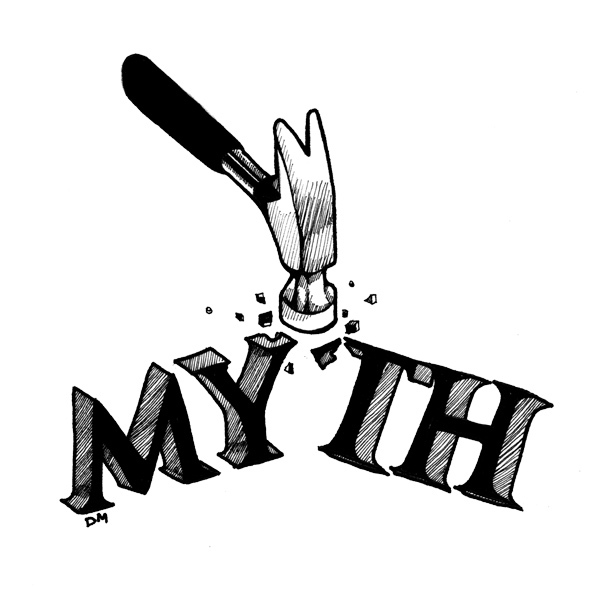 The myths we have discussed above are widely held, but how true are they? Is there a way you can get the aesthetics Squarespace is renowned and still have your site rank highly in search results pages? One company, Elle and Company Design, actually experienced a huge jump in their traffic figures when they moved to Squarespace. So it is not unimaginable to have a Squarespace website that can help in improving SEO. However, let no one misguide you into thinking that Squarespace is the silver bullet for your website’s substandard search engine ranking. If it wasn’t doing well on other platforms like WordPress, it won’t suddenly jump up the Google results pages. And neither will be moving it from Squarespace to WordPress, now that many folks seem to think WordPress the king of SEO. Whether your site is on Squarespace or WordPress or Wix or Weebly, you need to do your research and get the facts and then make targeted efforts at boosting optimization. The winning formula doesn’t change. You need to find out what it takes to get good on-page and off-page SEO and do it. On-page SEO refers to the use of keywords, image and at tags along with other measures to optimize a webpage. Off-page mainly refers to getting inbound links from other websites to your webpage. The more links there are to your site from other reputable sites, the more Google thinks your content is worth reading, hence the higher it’s ranking in results pages. The question, therefore, is if Squarespace supports these measures, or if it supports them as well as WordPress. Squarespace has inbuilt search engine optimization; so they claim on their website. According to the Squarespace founder Anthony Casalena, their platform has SEO built into it, as opposed to the SEO plug-ins offered by rival WordPress. “…you should not take the lack of a plug-in for this to mean that we didn’t actually just build it right from the start.” He further revealed that they regularly scan the top WordPress plug-ins for SEO to ensure that Squarespace has these features. 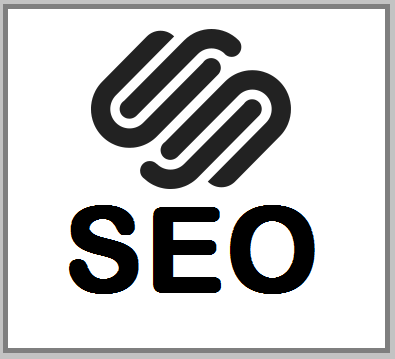 The search engine description area provided in the Squarespace backend, if used well, can have a positive impact on a site’s Google page rank. Elle & Co. have taken the trouble to fill in a clear search engine description containing keywords they feel visitors will search for. When you do a Google search for Elle and Company, this description appears next to the company name. In addition to this, Squarespace offers a place for a site title in its design panel. Having filed in this detail, web crawlers are better able to understand what Elle & Co. is all about, improving the chances of it appearing at the top in related searches. Not only does this title appear on the site, it appears on other websites and searches engine results. Anyone well versed in SEO will know the importance of a sitemap. Squarespace offers users a sitemap which helps web crawlers to both find and categorize content more easily. To make a website’s sitemap easier for Google to locate, you can add it to Google Webmaster Tools. 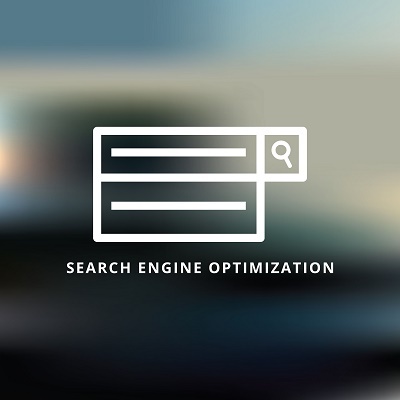 This allows the search engine to do a better job of optimizing the website. From the usage of these features on Squarespace, Elle & Co. say their traffic numbers grew 500% four months into their subscription. It is also wise to sit at the feet of industry experts like Rand Fishkin, CEO, and co-founder of SEOmoz, one of the world’s leading SEO startups. Not only does he vouch for Squarespace as a company, he thinks the SEO features they provide are “solid” and more user-friendly than on WordPress. He acknowledges that the then current version of Squarespace (v6), had made huge strides in implementing SEO as compared to Squarespace 5. However, he noted that those who would like more flexibility in terms of customization may prefer to work with WordPress. That said, the Squarespace 7, the latest version of the platform, has been designed to offer more to the developer, allowing them to build a site from scratch or incorporate third-party tools. Text: Visual-intensive themes are excellent, especially for artist and photographer sites. However, the fact that they leave little room for text may work against them when it comes to search engine rankings. Web crawlers are not designed to parse images on their own, they only work with text. So beyond aesthetics, think about how easy your chosen theme will make it for Google to find. Speed: When dealing with visitors with increasingly lower attention spans, speed is everything. Templates don’t all load at the same speed so this will be an important differentiating factor. It’s difficult to test the speed of the theme using the Squarespace demo but try and keep tabs on how fast the test site loads. Unlike other website builders, you don’t have to worry about features not working with Squarespace. This platform is renowned for testing all the features on their templates thoroughly before release. In the rare event you find a bug, Squarespace provides able support. There is plenty of information on their website to answer most FAQs and they provide prompt live chat support that’s available 24/7. To be sure of good SEO rankings, it is important to register both versions of your site with Google Search Console. You also need to register both the site URL with the ‘www’ prefix and the one without. Before we proceed we need to explain what Google Search Console is. It is a free online tool Google provides to webmasters to manage to improve the ranking of their sites in search results pages. At one point this set of tools went by the name ‘Google Webmaster Tools’. Using the Google Search Console you can check the indexing status of a website through a variety of parameters and request Google to index your site. There are some steps you need to take before you can be able to verify your site using the search console. Create a Google account; most any user of the Internet will have this already. Upgrade to a paid Squarespace subscription if you were using the trial version. Remove all page or site-wide passwords. These can be reinstituted after the verification of the site is done. Enter your primary domain name using ‘www’ prefix and ‘https’ if it has them, then click ‘Add property’. Go to the ‘Alternate methods’ tab and copy the meta tag provided on your homepage. Log into your Squarespace page and go to the ‘Code injection’ screen where you will paste the tag copied in the header field. Return to the Google console and click ‘Verify’. If all is well you will get a successful verification message. After verifying your site you can go ahead and make a request for Google to index it from the console. 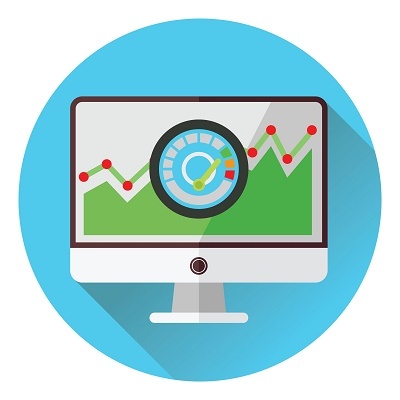 The website analytics tool that Google offers webmasters and website owners generates critical statistics that can help them monitor traffic. Squarespace has provided subscribers with a way of incorporating this visitor tracking tool on their websites. Enter your tracking ID in the field provided and save. Paste this code into Header Code Injection. Squarespace’s SSL is faster as it uses the HTTP/2 protocol. Use this version of SSL. Minimize the number of different fonts in your site’s textual content. If you can keep it at no more than two, the better. Another alternative is to use web safe fonts: Arial, Helvetica, Times New Roman, Courier and Courier New. Make use of compression tools like Tiny Png to minimize sizes of your site’s images. Avoid or minimize the use of third-party scripts or custom code. Turn ‘AMP’ on; this load’s fast-loading versions of your posts in a mobile search. All you need to do is check the ‘AMP Enabled’ button in the Blogging settings. Use tools like Pingdom and GTmetrix to test your site’s loading speed from different locations around the globe. Since 2014 Google has made it clear that they prefer websites that use secure socket layer (SSL) technology. This is a measure that encrypts communications between client and server, making them less susceptible to eavesdroppers and session hijackers. With Squarespace, adopting SSL is a very simple process, which simply involves checking a box in the settings. Sites that have been secured using SSL will have ‘https’ in their URL. When you enable SSL on Squarespace the platform automatically creates hundreds of redirects from the unsecured version of the site to the https one. This means that searches that return the old HTTP site will route the Internet user back to the secure site. SSL is a great way of keeping your site and its users safe from malicious eavesdroppers keen on perpetrating man-in-the-middle attacks. As part of its commitment to enhancing security on the Internet, Google began its ‘HTTPS everywhere’ campaign in 2014. 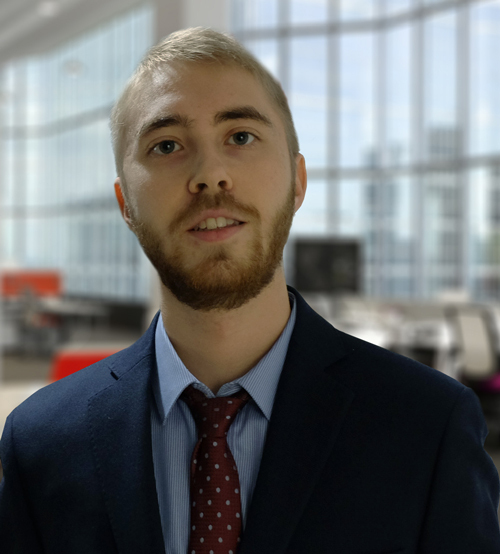 One of the action points of this campaign was incorporating secure connections into its search algorithm. They hope to push website owners and webmasters to embrace SSL by using it as part of its ranking criteria. Even Google’s Chrome browser comes with features that indicate to web users whether the site they’re visiting is secure or not secure. 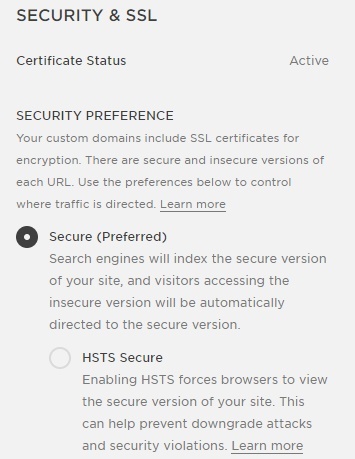 All it takes to enable SSL on your Squarespace site is to check the ‘Secure’ option in the ‘Security Preference’ dialog in the Security & SSL settings. Checking the ‘HSTS’ option further ensures that browsers only ever load the https version of your website. If you had an ‘http’ site created on a different website builder which you want to secure, you can do so but there are some things you need to consider. You might need to get in touch with Squarespace support to ensure you don’t get lower search result rankings. This might happen because of lack of redirects to the newly secured site. Quality – Will your readers come away with real information that can benefit them or can be used practically? If the answer is yes then Google will place your pages higher in search results. It is no longer enough to have paragraphs of gibberish stuffed with keywords; indeed, Google’s algorithm has been specifically designed to detect and penalize such websites. Well-written guides and tutorials will always rank highly for this reason. Quantity – Your content needs not only to be something readers can chew on and use, it needs to be plentiful. Article pages should be long and filled with engaging material. Try to ensure your pages or blog posts are at least 500 words long. Also, try to cover as many topics as possible within the chosen theme of your website. 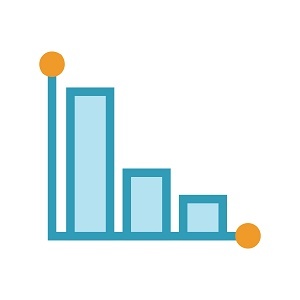 The more pages you have of helpful info, the higher search engines will rank them. Focus – Plentiful as your content should be, it should be kept centered around a single topic. Select a primary keyword you or keyword phrase you want to be ranked for and then a few long-tail keywords and distributed them in your paragraphs in such way they read naturally. That last part is important. While high keyword density is good, if you have too many keywords packed into a short page, the web crawlers might think it spams. Originality – Copy-pasting content from other sources to your site may save you time and effort, but it will hurt your ranking on results pages. Instead, run your content through Copyscape before you publish it to ensure it doesn’t look like anything else out there on the Internet. If Google thinks you’ve lazily plagiarized someone else’s posts, you will be penalized. Setting meta titles and descriptions for individual pages in Squarespace has proved to be one of the platform’s undoings. Squarespace does not offer the flexibility other website builders and CMS offer though it allows you to edit a set of tags in your template. You will find these in the ‘options’ icon for each page where you can put in a title of no more than 55 characters and a description of 150 characters max. Here is where you can add your keywords to improve your Google ranking. Most non-developer website owners and designers make the mistake of overlooking headings when writing content or adding posts. Instead of using proper headings they opt for a different font size, capitalizing text or simply bolding some words. This leads to headings that are indistinguishable for vision-impaired web users and content that is generally untidy and difficult to read. Most importantly, search engines will have to work harder to index your pages, which will do harm to their ranking on Google. With how easy Squarespace makes it apply headings, there’s no excuse for your pages to be untidy and miss out on SEO optimization. All you need to do is type out your desired text, highlight the given heading and then apply either heading 1, 2 or 3 using the format drop-down menu in the text editor. You have categories h1 to h6 to help (though h1 to h3 are most commonly used) you structure your content neatly with headings and subheadings. Whenever you do a search on Google, you will find that under each link in the results page, there is a brief description of what information you’ll find on the destination page. This is what’s referred to as a meta description. Though meta descriptions themselves are not factored into Google’s search algorithm, they have an indirect role in your SEO. Clear meta descriptions that are relevant to the topic and content will enjoy better click-through rates (CTR), i.e., more web users are likely to click on the link and visit your site. Pages with higher CTR have a chance of appearing higher on the results page as Google factors this in when ranking. Squarespace has not one, not two, but three places in which you can edit your meta descriptions; on the home page, static pages and blog posts. Homepage: Go to ‘Settings’ then click on ‘SEO’. You will find a field titled ‘Search Engine Description’ where you can put your meta description. Static page: Go to ‘Pages’ put the cursor over the page you want to edit, click and then fill in the ‘Description’ field below. Blog post: In the edit mode of the post, click ‘Settings’. Enter a description of the post in the ‘Excerpt’ box presented at the bottom of the page. The main problem with how Squarespace handles meta descriptions is that the meta description may end up being published on the site, instead of appearing only in the search engine results. This is generally not a good look and has been a source of frustration for many a website owner and webmaster. Web crawlers are largely dependent on text to determine the quality of content on a page and hence it’s ranking in the search engine results pages. The primary use of alt text, though, was to have a textual description of what an image was about in case it failed to load on a webpage. However, visually impaired web users have found these descriptions useful for helping them understand what purpose the image was to serve. This is thanks to the availability of assistive technology such as screen readers. By adding keywords to the alt text in your images, you can boost the SEO of your Squarespace webpages. But most webmasters and designers agree that adding alt text on Squarespace is not the most straightforward process. First of all, it is not referred to by that name on the Squarespace image editor. Alt text is referred to as ‘Caption’ and you will find it as one of the two options in the ‘Inline’ button on the ‘Design’ tab. The other option is ‘Do Not Display Caption’. The above steps are for adding alt text to images within copy on a page. You also have the option of adding alt text to a cover page image, gallery image, image block or thumbnail image. Adding alt text to each of these categories of images has a slightly different procedure. Furthermore, if you would like to change your image layout, you have to ensure you fit in your alt text description before changing. A good many designers find this process needlessly complicated and a hindrance to implementing good SEO on a website. Thankfully Squarespace has a clear, detailed help page about adding alt text to each kind of image. Squarespace, to some extent, makes up for the alt text shortcomings by providing automatic clean URLs for your web pages. You won’t have URLs crammed with special characters and numbers that give both search engine users and web crawlers no clues as to what the page is about. While this automated URL cleaning works very well for static pages, blog post URLs don’t appear so tidy with a date tacked onto them. Not only does it make the URL needlessly longer, it might force you to update the URL if you later update the post. You don’t need to keep the dated URL on a Squarespace blog page; the platform allows you to tweak it in the edit mode. In the ‘Options’ tab, you will find a place to create a custom URL. If you would rather your blog URLs automatically follow a given pattern instead of editing each of them manually, Squarespace allows you to create a format. This is done in the ‘Blogging’ settings. Here there is a field for ‘Post URL format’. Infuse relevant keywords in your URL but keep it short. Separate the keywords in your URL so that they are clearly legible to both the search engine bots and human readers. Use hyphens to separate the keywords as opposed to underscores. What are rich snippets? They are the responses presented by Google to a user query that are not links to other web pages. They are prominently displayed on search results pages and are considered by some a threat to their websites. Research has shown that Google is answering more and more searches with rich answers. Recent figures showed that rich answers are displayed for close to 30% of all searches and this figure is projected to rise. With this in mind, it would be wise for any webmaster or designer to investigate how rich answers can be used to achieve higher SERP rankings. One of the ways this can be done is sprinkling rich snippets strategically on your website. By doing so your chances of being featured in one of Google’s related rich answers will be much higher. Having concise answers to questions users are likely to type when searching for related content near the top of your posts or webpages is a clever move in this regard. Squarespace itself does not provide a straightforward way to hike your chances of being featured in rich answers. Web designers have in the past tried in vain to add Schema Markup code to that of web pages for the generation of rich snippets. Schema Markup HTML is defined by Schema.org, a body created by the top search companies, including Google, to help webmasters know how to present information to search engines. If you contact Squarespace support, they will likely direct you to the Data Highlighter provided by Google to help structure data in web pages. If you are successful in using this method you won’t be able to use Schema Markup code on those pages. To be able to use the data highlighter, you need to create page sets of pages with related data. You then need to give Google time to crawl your site and create a cached copy of it. The advent of social media has made it even easier to shout about your website and blog posts. It, in fact, allows your readers to do so on your behalf. So naturally, one of the key selling points of any website builder or CMS is its capacity for allowing content to be shared on Facebook, Twitter, LinkedIn, etc. These could potentially make your content go viral and become a worldwide sensation at the snap of a finger. A good number of the templates Squarespace offers have social media share buttons included. All you need to do is to enable the channels you want in edit mode. We have seen the different ways you can boost SEO by tweaking settings on your Squarespace site. But how can the platform help with off-page SEO? A backlink is a link to another website that leads back to your website. The Google algorithm factors the number of quality backlinks leading to your pages when ranking them. Many links leading back to your site indicates to search engines that you have important information on the subject in question. Google will consider you a sort of authority on the subject and rank your page higher in the SERPs. The quality of an inbound link is determined by how relevant it is to what your content is about. Knowing that backlinks are a key contributing factor to good SEO, many webmasters have succumbed to the temptation to get links from link farms or placing hidden links on other sites. As a result, Google has cracked the whip and can now ban a site found to be using such shortcuts from appearing in its results pages. To avoid such a fate, it is important to take time and build these links organically. Seek out websites with related content and communicate with them to ask for backlinks. There are tools available to help you search for websites with related content. Your website will be rated better by Google if it has some of your keywords in the anchor text. Anchor texts are the words which contain the hyperlink to your webpage. Again, there are tools webmasters can use to find out what anchor text external websites are using to link back to their site. If you find the text is unrelated to the keywords you want to rank for, get in touch with the website administrator and request them to change the text. Now that Squarespace, we have established, does well with helping you work on on-page SEO, but can it contribute to on-page SEO? More specifically, can Squarespace help in creating quality backlinks? Yes, it can. As we discussed previously, Squarespace can help you make URLs that are easier for web crawlers to work on an index. After doing the hard work of optimizing your site for search engines, it is important that you keep track of how effective your SEO campaign is. You don’t have to do this with manual searches; not when you have tools like SERPWatcher. Note that keywords don’t have to be typed in; you can import them from a CSV or TXT file. You can also import from an existing KWFinder list if you have one. Also, note that you can modify keywords while tracking is active. 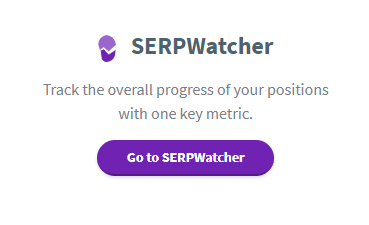 You can access this section by clicking the ‘Trackings’ button on the header of SERPWatcher. What you will see is a summary of all the domains that you are tracking. There are options to delete or clone the tracking to the right of each tracking tab. This is an easier way to view and access the features of SERPWatcher. It presents the user with a two-column interface through which you can view keywords, search volumes and changes in their SERP position. This interface also allows you to view either result for a desktop or mobile searches.